On the subject of silly season, this year's version still has a way to go. We're now firmly ensconced in November and only four teams - Ferrari, Mercedes and the two Red Bull collectives - have confirmed their driving line up for 2014. Many of those remaining haven't even confirmed a single member of their duo. Much of the blockage apparently is due to waiting for the Lotus-Quantum-Hulkenberg situation to resolve itself. The Quantum Motorsports consortium is looking to buy a 35% stake in the team that would greatly ease Lotus's financial situation, and would in turn allow it to sign Nico Hulkenberg for next year (if it didn't come off it was thought that the team would instead go for Pastor Maldonado and his £30m annual wedge of PDVSA money). Over the Abu Dhabi Grand Prix weekend Quantum chief Mansoor Ijaz said the deal was now virtually done, and that he supports the recruitment of Hulk, so there'd now be something seriously wrong if the rapid German doesn't end up there. And it should, you'd have thought, create a knock-on impact of a few other pieces falling into place elsewhere in this particular puzzle in short order. The resurgent Romain Grosjean is expected to fill the other Lotus seat. Next up, McLaren which is most likely to retain its current line up, but its delay in confirming as much suggests it still hasn't given up on recruiting Fernando Alonso for next year (which would really put the cat among the pigeons). Murmurs persist that the team isn't too thrilled with Sergio Perez, and may even at Checo's expense fast track its young prodigy and FR3.5 champion Kevin Magnussen - whom Woking considers an excellent long-term prospect - into a race seat for next year (a few say that Alonso-Magnussen is the plan for 2015). And Perez dropping out of McLaren, with his Mexican commercial possibilities, presumably will create a ripple further along this particular game of musical chairs. Force India is traditionally the last to confirm its drivers - you may recall that Adrian Sutil was officially announced as occupant of his ride this year a matter of days before the season start, though that was an extreme case and the team's Christmas party tends to be the time and place. Rumours about the team's tricky financial plight continue, so it may be tempted by a pay driver (or two). Maldonado's been linked, as has Max Chilton even. But on the flip side, Force India has shunned pay drivers more than most historically, while Vijay Mallya said on TV recently that he expects to still get plaudits for his driver selections next year as he has in the past. Of the current drivers Sutil brings some money (and has been bullish about his chances of being retained); Paul di Resta's thought to bring little or none at all. 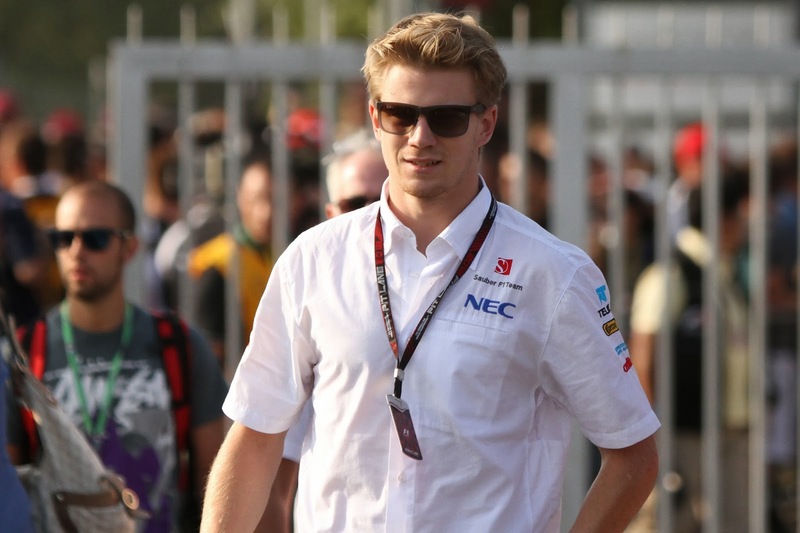 And while dropping di Resta on talent would be something of a travesty, as the likes of Heikki Kovalainen have found out if it's needs must on cash then that can sweep away all other considerations. Similar goes for Sauber, another team in 'survival mode' as Martin Whitmarsh has it. This is underlined by one of the race seats being snapped up by 18 year-old Sergey Sirotkin (accompanied by rubles, one way or another). As for the other drive? 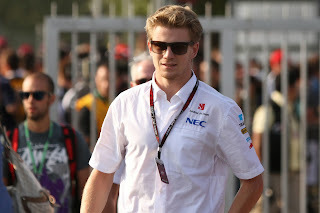 Martin Brundle recently described a potential partnership of current charge Esteban Guiterrez with Sirotkin as 'the blind leading the blind', and the boss Monisha Kaltenborn could barely hide her horror when on TV after the Japanese race the prospect of such a line up for 2014 was put to her. And although Gutierrez had improved up to and including the Japan race, he's since had a couple of subdued events at just the wrong time. 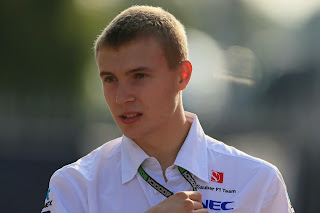 The probability is that the team will look for a bit more of a known, and experienced, quantity to partner Sirotkin for next year. Sutil's been linked, as has Maldonado (and either would also contribute to the coffers, Pastor especially). As for Williams, it's thought that Maldonado's spent some time lately seeking to extract himself (and his cash) from his Grove obligations, and that now he's been successful in that endeavour. Valtteri Bottas you'd think will stay on, and the smart money is on Felipe Massa joining him (following his mate Rob Smedley). Given the recent lucrative Globo Brazilian TV deal, and Bernie's desire to keep a Brazilian driver in F1, this all begins to makes sense. protegee Kevin Magnussen fit in? No one's ever got rich betting on who'll occupy Marussia and Caterham seats, perhaps appropriately given the ability to rustle up money often has been the main discriminator. Unusually though, Marussia's confirmed a driver for 2014 ahead of time, with Jules Bianchi cemented at the team officially for another year. If daddy Chilton can raise more money then presumably Max will stay also, though Magnussen's been linked too (and Marussia does have a technical tie up with McLaren). As for Caterham, its owner Tony Fernandes has been making slightly more positive noises about the team's balance sheet recently, as well as has hinted that Kovalainen - in the same ilk - could be in line for a return to the big job (apparently he hinted at it especially strongly on Finnish TV). 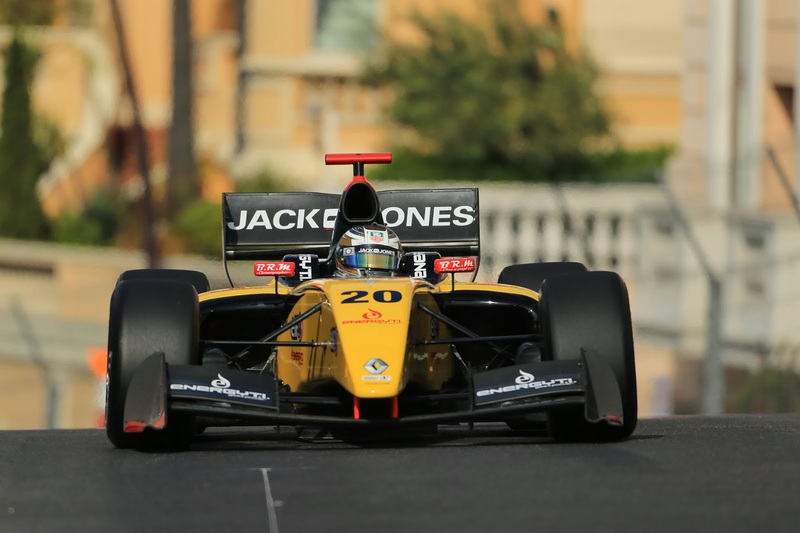 The other seat could be subject to a bidding war between the likes of current occupants Giedo van der Garde, Charles Pic (though both drivers' management teams have insisted they have plenty of options - but then again they would say that) and perhaps others. For what it's worth, van der Garde's been the more convincing of the two behind the wheel lately. Agree that Perez staying for 2014 looks most likely. But still, it's pretty clear that McLaren wants Alonso and apparently also really rates Magnussen, so with this both current drivers look to be under threat, if not for next year then certainly for the year after.